This list provides an overview of musical forms, including musical genres or styles; harmonic language; motifs; figures; phrasing; and sectional, developmental or variational structures. Also see the "Theory & Analysis" section for more recommendations. How Western composers from 16th to 20th century met changing structural requirements mandated by different musical styles. Nature and function of concerto, sonata, etc., clarified with nonmusical analogies; illustrated in detailed analysis of specific piece of music – over 40 in all. Clear, elementary explanation of basic forms – Renaissance to 1900 – with many works analyzed. 181 pps. 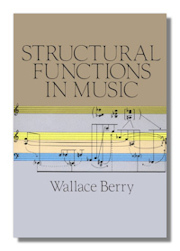 Structural Functions in Music. Wallace T. Berry. Prentice Hall (hardcover); Dover Publications (paperback). 1987. ISBN 0138539030 (hardcover), 0486253848 (paperback). From Vivaldi to Viotti – A History of the Early Classical Violin Concerto . Chappell White. Gordon & Breach. 1992. ISBN 2881244955 (hardcover). surveys the genre of the solo violin concerto in the transitional years from the Baroque to the Classical style. The violin concerto is the only major instrumental form of the Baroque period that had continuous development through these years without a change of medium. 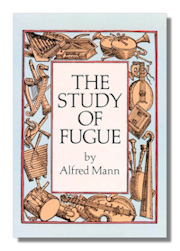 This book gives a new perspective on the development of the Classical style as well as sheds light on an important class of music previously unexplored.